Our practice is geared towards people with active lifestyles. With an emphasis on conservative care, our goal is to help others return to activity, no matter what level, as quickly as possible. 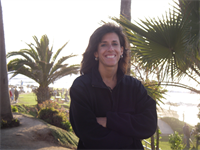 Services Tracey Giambrone, DPM provides podiatry in Reno, NV at 3400 Kauai Ct Suite 103, Reno, NV 89509. Podiatrists are able to treat conditions and disorders of the foot, ankle and lower leg. A Podiatrist may treat bunions, calluses, ingrown toenails, heel spurs or foot deformities.